Did you know that 30,000 people are diagnosed with type 1 diabetes each year? 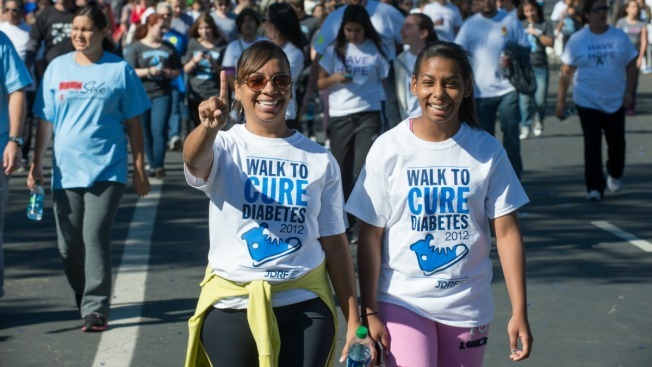 Join us Sunday, Sept. 28 in East Hartford as we team up with JDRF for our Walk to Cure Diabetes. Our very own Joe D’Ambrosio is the honorary chair of the event, and Kevin Nathan will emcee. The next walk will take place on Sunday, Oct. 5 at Quinnipiac University in North Haven and the final walk will be held Sunday, Oct. 19 at Six Flags New England in Agawam, Massachusetts. Learn more about type 1 diabetes and sign up online.